Our mission is to teach you how to draw upon the art and science of economics to address critical issues facing the world today, preparing you for a responsible life of learning, service and leadership. We're committed to examining the relationship between economics and other areas of knowledge. You'll find economics an excellent complement to other majors, such as public and environmental policy, sociology, history, mathematics, biology and business administration, as well as concentrations like gender and peace and justice studies. We work hard to help students get into top graduate schools, including Duke University, Georgetown University, Stanford University and the Wharton School of the University of Pennsylvania. Our graduates also get jobs at leading businesses, such as Disney, JP Morgan, Merrill Lynch and Pepsi. We offer both a major and a minor in economics. 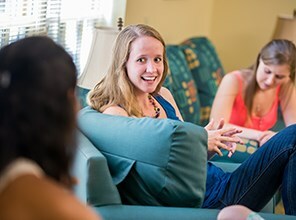 Emma Webb '15, an economics major, put her skills in econometrics to use at Roanoke through a unique research project. Her project studied women on welfare, which is "a topic I feel very strongly about after doing a ride along with D.C. metro police last semester," she said. Webb researched whether women on welfare have more children than those who are not on welfare while controlling for their access to contraception. "Thankfully, economists have been studying welfare and fertility for a long time, so I have many giants' shoulders to stand on," Webb said. Webb also was involved in a service learning project at Roanoke. She and three other students helped teach advanced placement economics at Patrick Henry High School in Roanoke. They've been helping to run simulations and experiments. Her favorite? Creating a curve that charts the demand for gum vs. chocolate candy. "Nothing sells to high schoolers like sugar," she said. Economics offers a powerful approach to addressing the critical issues facing humanity. Economists study how to eliminate poverty, address inequality, improve health, protect our natural environment and avoid financial crises. Roanoke professor Dr. Alice Kassens was appointed by Governor Terry McAuliffe to his Joint Advisory Board of Economists (JABE). The function of JABE is to advise the governor and the Department of Taxation on the state of the Commonwealth's economy and the nation as a whole. This information is used to project state tax revenues before setting the state budget. "Being an economist who is passionate for data analysis and the state of our local economy, this position is exciting," Kassens said. "I get to showcase the analysis that I do for Roanoke College pertaining to consumer sentiment, inflation expectations and the real estate market in Virginia." Roanoke College offers a unique two-year certificate program that teaches students software skills attractive to top companies around the world. It's called the Data and Econometric Analysis Joint Certificate Program with SAS, which stands for Statistical Analysis Software. 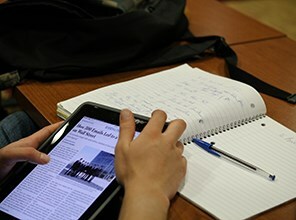 The program teaches students to use SAS software, which is employed by major businesses and government institutions, including 93 of the top 100 listed on the 2014 Fortune Global 500, according to SAS. It provides the kind of real world learning that students need to compete for top jobs. SAS is a key word on resumes and is likely to draw immediate attention from employers. Jay Laramore'10, an analytical training consultant at SAS, helped Roanoke economics professor, Dr. Allie Kassens, implement the certificate program. "I think Roanoke could be a model on how to do it," said Laramore, explaining that SAS instruction typically is offered in graduate-level programs. Awesome Bars began as a hobby. 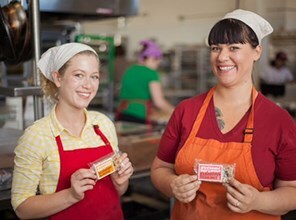 Stephanie Melnik '09, and her sister, Leah, cooked up these healthy energy bar concoctions in their California kitchen. Now the bars are sold in coffee shops and natural foods stores nationwide and online. 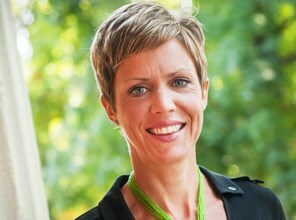 Melnik gained business acumen at Roanoke, where economics professors mentored her, and she also helped real life entrepreneurs write a business plan. Granola sales now drive Melnik's life. "It's what gets me out of bed in the morning," she said. Our grads work at impressive organizations. Economics major Jimmy Bradshaw ‘13 has taken a job with the Washington Wizards as a video coordinator and playing development assistant. After playing basketball at Roanoke, he worked at Lehigh as assistant with the men’s basketball team while earning a masters degree in economics. He scored an internship with the Wizards and was employed full-time a year later. “I've always wanted to do something with sports...the NBA is tough, but that's the ultimate dream,” Bradshaw said.